Crow Canyon will be showcasing its On-Boarding and User Access Management applications for SharePoint and Office 365 during the free online Collab365 Solutions Day on Wednesday, Sept. 14. Crow Canyon’s presentation will take place at 12:30 pm Pacific Standard Time. 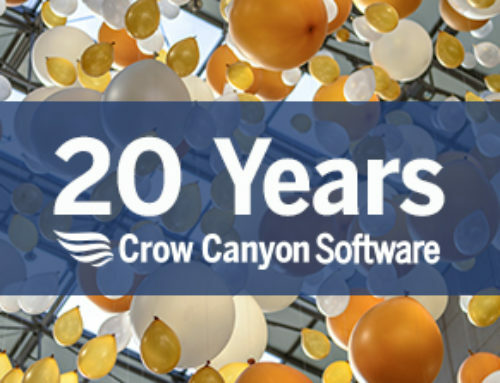 Crow Canyon’s On-Boarding application features workflows and approvals for new hires, job changes within a company, and terminations. It can manage both employees and contractors. Tasks for application access, hardware procurement, physical access, facility work, and more are distributed to the appropriate parties and tracked in a central location. The program offers a role-based matrix that matches specific job titles to application and hardware requirements, while at the same time providing adhoc configuration capabilities. The User Access Management application comes with approval and workflow processes that guide access requests to completion, providing auditable tracking along the way. Tasks are generated based on the requested access. The program can use the same role-based matrix that On-Boarding does, while also allowing one-off access requests. All user access is recorded to provide administrators with in-depth insight into who has rights to what, who granted it, when was it granted, and much more. This provides critical information for auditors as well as for normal business operations. Both programs run on all versions of SharePoint as well as Office 365. They are customizable with no-coding using included utilities. The applications are built on Crow Canyon’s NITRO layer, which provides critical functionality and enhancements to SharePoint and Office 365, turning them into true business application platforms. Crow Canyon develops core business applications for Microsoft SharePoint and Office 365. These programs include Help Desk, Asset Management, Facility Maintenance, Customer Support, Purchase Requisitions, Contract Management, and more, as well as On-Boarding and User Access Management. They can be used individually or in conjunction with each other to improve efficiency and organization in any department, resulting in better customer and employee service. See www.crowcanyon.com for details.